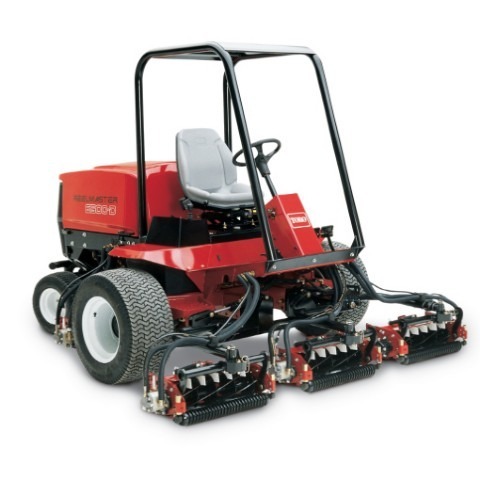 The Reelmaster® 6500-D, available in 2 (03806) or 4 (03807) wheel drive is the premiere reel mower for precision mowing, power, and long-term durability. Planetary gear wheel-drive system provides more traction torque to the drive tyres and allows the traction system hydraulics to run more efficiently, with less heat build-up than direct coupled hydraulic motors. Preventative maintenance items are located on the same side of the engine compartment for quick and easy routine service. Manually adjustable reel speed control maintains a high quality of cut through changes in mowing practices and agronomic conditions.